Cloud computing is represented by computing method that is based on Internet, where the computers are supplied with software, information shared resources and other devices such as an electricity grid. Cloud computing determines a newly supplement, consumption and delivery model for IT services or information technology that are mainly based on internet. 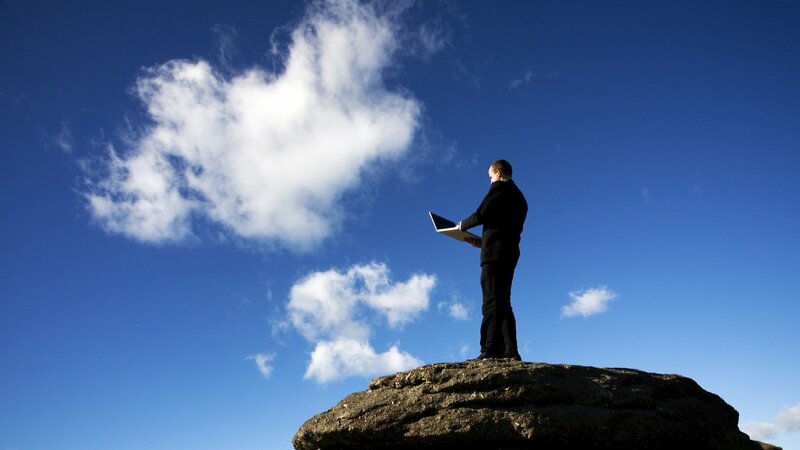 Cloud Computing involves provision of virtualized and scalable resources as a service to internet. The infrastructure of cloud computing is commonly based on cloud drawings to present the telephone network system which has been used in past. Later on cloud computing was employed to represent internet in computer networking diagrams for an underlying infrastructure. General online business applications are delivered from providers of cloud computing that are accessed from other software, for example web service or web browser. The software and data in cloud computing are stored on servers. In general cloud computing consumers consume resources as a service and pay only for the consumption that they have used up. A consumer of cloud computing avoids expenditures on basis of capital by renting deployment from 3d party provider. Autonomous computing represents one of the characteristics of cloud computing that denotes that computer systems possess the capability of self management. Behind cloud computing development Amazon has played an important part through making its data centres modernized. For representation of telephone network system cloud computing is based on cloud computing drawings. In 2007, IBM, Google and a great number of industries involved them in a big scale computing research project. In the mid of 2008 Gartner decides to shape the relations among IT service consumers, those who makes use of IT services and those who sell it which will arise outstanding increase of IT products in some fields. For all consumers clouds commonly appear as a single computing access that is based on computing needs of consumers. Cloud computing cost is considerably reduced. A consumer of cloud computing evades expenses in terms of capital by means of renting usage from 3d party provider. The infrastructure is supplied by 3d party and it is not necessary to be bought for one time. Cloud computing infrastructures chiefly comprises of some trustworthy services that are transformed by means of data centres built on servers. Cloud computing possess the feature of location and device freedom that empowers users to access while deploying web browser irrespective of their location. Why To Use Web Design Software?